Still dont think there is a plan in place? This will soon be a familiar site on American Soil. ISIS, MS-13, Antifa, the conspiratorial wing of the. CIA the cover up mechanisms of the FBI. the Clinton Foundation, the Paddock family, Loretta Lynch, Eric Holder, AG Jeff Sessions, VP Mike Pence, George Soros and his communist front groups (eg Moveon.org, BLM), CALEXIT (eg California Gov. Jerry Brown, various drug cartels, the Mexican Consulate, George Soros (2), Bank of China, the United Nations, La Raza, et al), former President Obama, Hillary Clinton, HSBC Bank, 80 Federal legislators who belong to Communist and Muslim Brotherhood front groups (eg. Franken, McCain, Pelosi, Feinstein, Boxer, Waters, Warren, K. Harris, etc. ), James Comey, Robert Mueller, the Chinese government, the Russian government, and individual nations (eg Norway) of the UN Peacekeeping forces) and many others are just one big happy family. And what are they happy about? 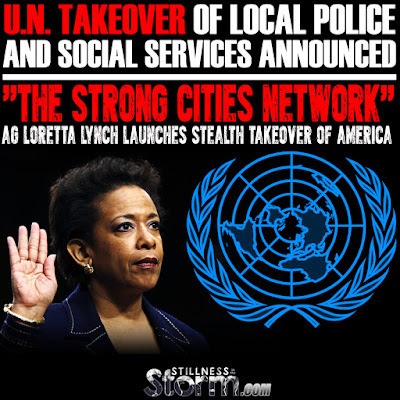 They are active and dedicated participants in the plot to destroy the Constitutional Republic of the United States and replace it with a brutal totalitarian government complete with UN troops in our streets and FEMA re-education camps. By the way, what you have read in this paragraph is just the short list. I have become an expert at arguing with idiots. The UN is not coming to an unsuspecting America, they are already here. They are waiting for enough chaos to ensue to justifiy taking over the country. Undoubtedly, half-baked people are going to say “Fox did not say that UN troops are coming to America”. I don’t mean to confuse anyone on the left with the facts, but please try and answer this question: “When Antifa is successful in using its new-found allies from MS-13 and ISIS, as well as the aforementioned people and groups, to carry out unlimited Las Vegas style attacks, and worse, what is the UN going to do? By policy they are going to bring their 28 nation peace-keeping force to America. Oh wait, they are already here and I have been reporting on this for six years!!! Please allow me to spell this out very clearly. The Deep State has succeeded in lining up unlimited funding and willing participants in bringing holy hell to America. It has already started. Now, our government has sold us out and has agreed to let the blue helmets take over this country on a set of contrived consequences promulgated by the left. I also received this email from an eyewitness to the treason going on at Camp Grayling. Anyway, I have an attached updated photos of the “Prison Camp” that was upgraded with new Buildings and Communications Tower; Military Tour Guide says “ATT Tower” Yeah Right just happens to be right on the front gate of a Prison Training Facility. On my Youtube Channel Paul Martin has repeatedly stated that Turk soldiers have been reported in Northern Colorado. Paul and I have logged many hours exposing the all the foreign and UN troops in Northern Coloroda and in Southern Wyoming (eg Rawlins, WY). Speaking of Paul Martin, it appears that Paul has Russian intelligence officers looking for him as recently as last week. Please consider the following report where Paul shares this frightening event. The Army has been diligently training to lock the country down into martial law. Specifically, I am referring to the Army’s building of a ‘fake” $96 million dollar Northern Virginia town which is being used to train the military to enforce martial Law. Of course, the government says that this is a foreign town being used to train our troops to occupy.We also hear this same worn out argument about Jade Helm training in that “we are training for the Middle East”. Does the following video look like the Middle East to you, or does it look more like Mainstreet America? If Jade Helm truly training for the Middle East, then someone needs to explain why the town has a Christian church, handicap parking spots, Washington DC subway logos, loading zone signs and road signs in English. I don’t remember seeing pictures of the streets of Damascus in which they display handicap parking signs and have a plethora of Christian churches. A picture is worth a thousand words as you will see in the following video. I could fill a book with examples of UN/Foreign troops on American soil. The abovementioned three examples are merely prepatory background material in order to lay the groundwork for the latest example of UN/Foreign troops on American soil. Subsequenttly, the Fox News story belongs in a history book, not reported as recent news. 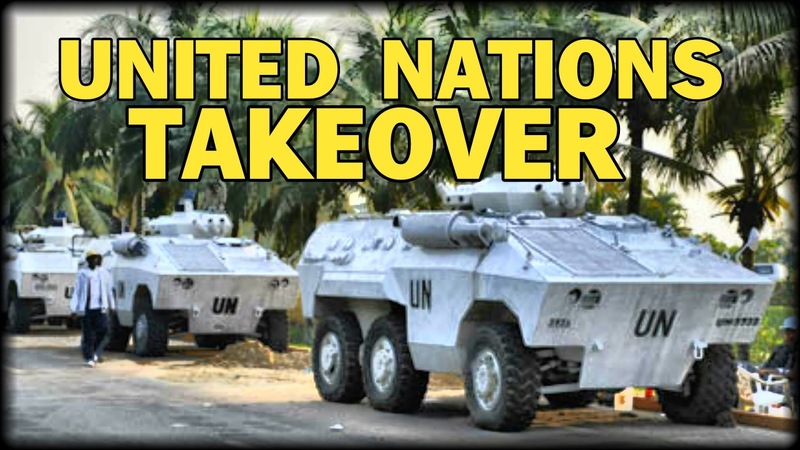 The UN is here on American soil and they have very bad intentions. Recently, Larry Nichols along with a friend of mine, Jack Easum, produced the following video on this topic. The players are in place and they are awaiting their predetermined signal. The plan is simple, yet comprehensive and relentless. The subversive groups plan to create as much chaos as possible. The stage has been set for UN intervention. 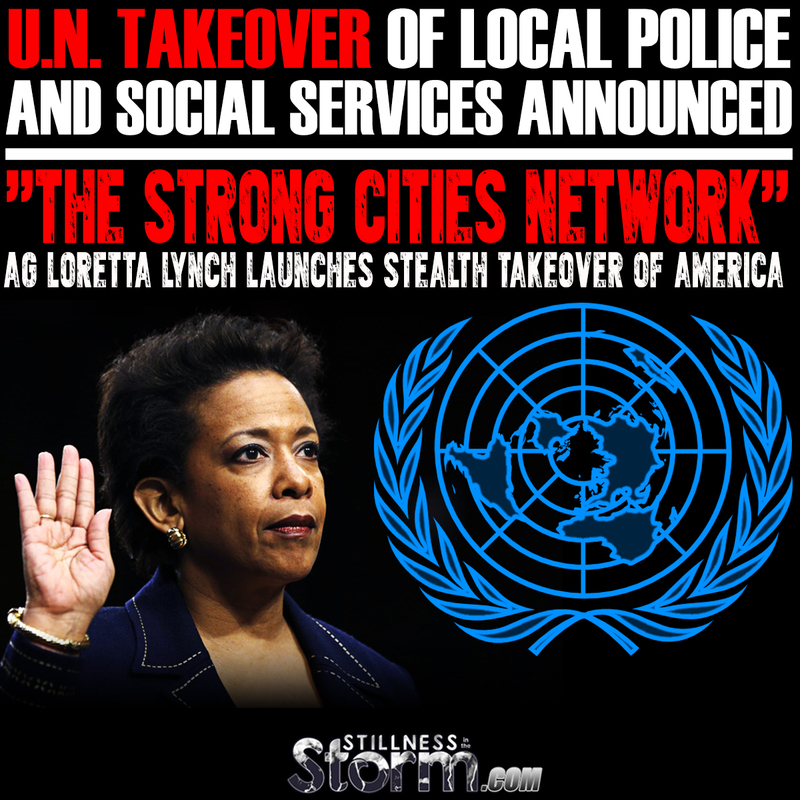 Gun confiscation confiscation will be the first order of business. Ask yourself, what do you think they are going to do the members of the Independent Media. Gun confiscation will be followed by FEMA camp incarceration for “at risk people”. This is something that I know a fair amount about and will be discussing this aspect at length over the next few days.